I couldn’t tell you when exactly bourbon usurped gin as my favourite liquor, but it’s been a welcome transition. Bourbon goes down warm and smooth, and all those other adjectives that sound cliché when said aloud. Bourbon’s flavour also plays well with others, which makes it a popular base for a rogues’ gallery of cocktails. We covered this in a previous Pour Boy but it’s worth reiterating: Sometimes it’s okay to lowball which bourbon you use in a cocktail if there are plenty of other flavours mixing around. If bourbon is the headliner of the cocktail though, make sure it’s a bourbon worth highlighting. When in doubt, punch up and go for the nicer stuff. Here are a few of my favourite bourbon-based cocktails, ordered based on the importance (highest to lowest) of high-quality bourbon. A classic for a reason. All an Old Fashioned needs for success is bourbon, simple syrup, and bitters. Mix the liquids together, then add a large ice cube. (Don’t listen to anyone who insists on using multiple smaller ice cubes; these people are not your friends.) Initially the drink will be almost too strong, but as the ice cube melts it dilutes the cocktail until there’s a nice balance. For bonus points, I like rubbing an orange peel on the glass rim and adding a spritz of fresh orange to the cocktail itself. For those occasions where you want apple cider-bourbon flavours, but in the summertime. You’ll need to prepare a ginger syrup ahead of time, which consists of adding fresh ginger to your go-to simple syrup recipe and then straining it out before chilling. Combine the syrup with bourbon, plus apple and lemon juice. Some recipes will call for a black pepper garnish to add a bit of spice, but it works fine without too. At some point in history, Hot Toddies were annexed for the sickly and are often treated as medicinal. The healthy are taking them back though! Warm water until just before a boil, and add to a mug with bourbon, honey, and lemon juice. 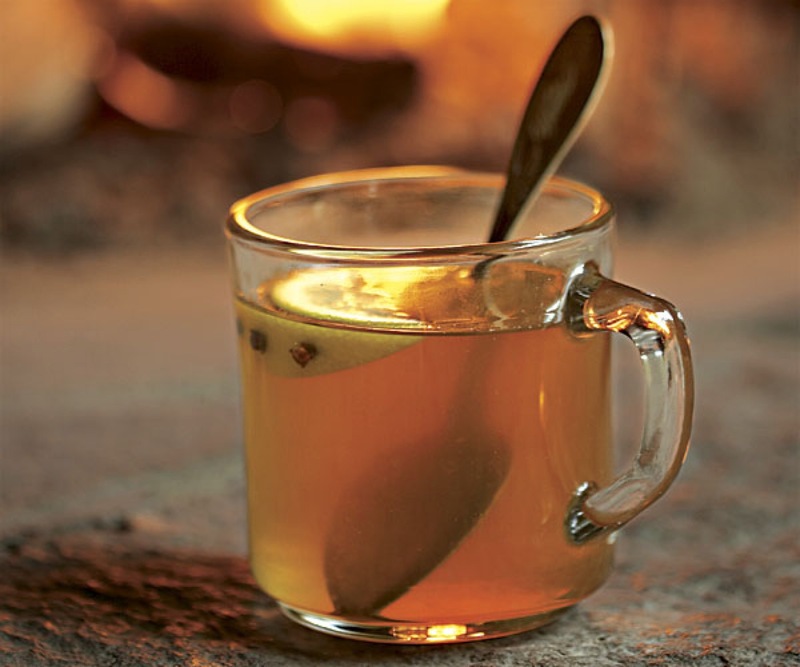 Stir that Toddy round and round until the honey is completely dissolved, then sip away. Perfect for those seeking a variation of the standard Hot Toddy. This drink consists of cool bourbon mixed with warm apple cider, and polished off with some allspice, a cinnamon stick, and lemon wedge. Combine bourbon, lemon juice, simple syrup, and an egg white into a shaker filled with ice. (The egg white might cause you to double-take, but it’s essential for making the cocktail frothy.) Shake that puppy 15 times and strain into a glass, then top with aromatic bitters and a maraschino cherry.